I did this post originally in November of 2010. And at the end of this post I said that everything was up in the air and I might change my mind in six months on the price structure. Well, nope. In fact, I am more firm on the price structure of $4.99 for novels than I ever was. And now I have ten more months data on how that structure works and trust me, it works great. That said, I have zero problem with loss leader pricing, if, and only if, the writer has some other books to advertise. For example, if a writer has a five book series up, it would make great sense to lower the price of the first novel down to $2.99 and maybe do some give-aways as well of that novel. Everyone has an opinion on this pricing stuff. My focus is what will get readers a fair value and make the writer a working wage at the same time. Even though I've priced my book, Until Death, at 99 cents, I think that Dean makes a lot of great points. His blog post is well worth the read. $4.99 strikes me as an eminently fair price for an eBook of novel length. It's less than a mass market paperback, let alone a trade PB or hardback. 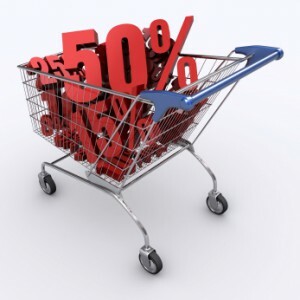 And with the way Kindle %ages as I understand them work, you have to get 10 times the sales to get the same payment at $0.99 as compared to $4.99. Fortunately (? ), I don't *think* that's a decision I'll be trying to make anytime soon. I agree, $4.99 is an eminently reasonable price for a novel. It's amusing to think that just last year I would have thought nothing of spending $8 for a paperback by a favorite author but now I think of $8 as high. As a reader I've been spoiled. Lately, I've spoken with a couple of writers whose ebooks are doing just fine at prices over 4.99! I think Dean may be onto something. He usually is! Michael- probably you have read JA Konrath's blog (who hasn't, really, and if not you should). He wrote a while back about playing with pricing and putting books on 'sale'. This seems the best method to me, to not settle on a single price point for a book, to constantly massage the price point. This of course assumes that you will have multiple titles to sell so that you can have titles at several different price points at the same time. MT, I think you've hit the nail on the head: volume. If a writer has more than one book for sale, preferably 10 or more, then one or more books can operate as a loss leader. I admied Amanda Hocking's strategy of pricing the first book of a series low, or free, and then charging more for the rest of the books in the series. MT, thanks for the tip. I think I have looked at his site before, but will double-check right now. $4.99 Seems very fair for both the author and the reader. In my case, as a first time author, although I am confident and proud of my work, I would find my inner most pre-madonna asking any more then $4.99 when I have proven nothing. So I am contemplating the quasi Stephen King route by asking $.99 to $1.99 for the first two chapters and then perhaps $.99 for the follow up chapters. There will be 10 +/- 2 in total. Not only does the reader win if they don't care for my writing, but in the long run I too may benefit a little more from this strategy. Mind you this may work for me simply because each chapter is pushing 20,000 words (prior to edit) and could be considered a ongoing "short story series" as each is its own tale that bids them all together. In conclusion and without further rambling I agree on the $4.99 mark and will publish all future works after this one, at that price. Great article find and great site Karen. Thanks. Thanks for the comment! 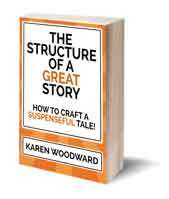 About your idea for turning your book into a serial story, if you do that I would love to know what the response is. I have very fond memories of going to the bookstore each month to get the next "chunk" of Stephen King's "The Green Mile." Done correctly, this could be a very interesting approach for ePublishing. The one downside I see is that you have to deal with the $0.99 commission rate while still essentially charging $5 for your book if it's in five pieces. You'd come out slightly *behind* pricing at $2.99, if I've done the math correctly. But you also might get more readers. 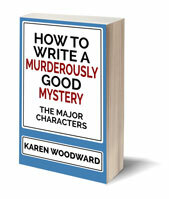 It's a tricky business and, for those who are writing multiple novels, I think that the "vary your approach" method discussed earlier makes sense. Being that I'm still in the short-fiction realm, this is mostly of future interest to me, but it's interesting to discuss and watch how it plays out. I do have one ~10k novelette which I might try ePubbing if I don't get any nibbles on it from print/online publishers.